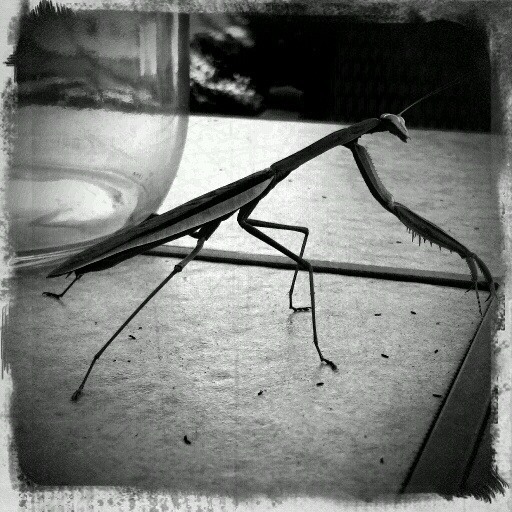 This is a photo of a praying mantis that I found on my picnic table. i was told if they land on you it brings good luck.....creepy! I think I'd rather go with bad luck, than to have one of these buggers land on me.